Great to hear she is making such great progress. The care team are doing a fanstatic job with Fiona. Am so amazed at not only Fiona’s progress but this wonderful anectdodal documentation for all of the world to see. It has made me cry and laugh and share. The Cincinnati Zoo rocks! You are exemplary is what you do. Thank you. Very informative blog here. Your entire team is doing a great job! This is wonderful news. 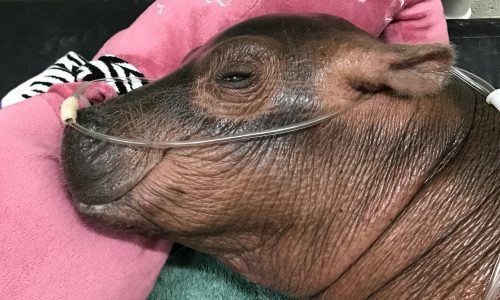 Keep up the great news Fiona & her super Caregivers. Keep them coming! How wonderful! Thank you so much for the fantastic care that you’ve given to sweet Fiona. We appreciate the informative updates. Great news! I am kind of glad we, the relatively uninformed public, didn’t know exactly how fragile Fiona was in those early weeks. I am so impressed by the depth of your collective knowledge as to how to manage this fragile baby. I am one of millions who’ll throng to the CZBG to see Fiona this year. Happily, I will be there every Tuesday. You are all so remarkable…just like our Princess Fiona! Fascinating information. 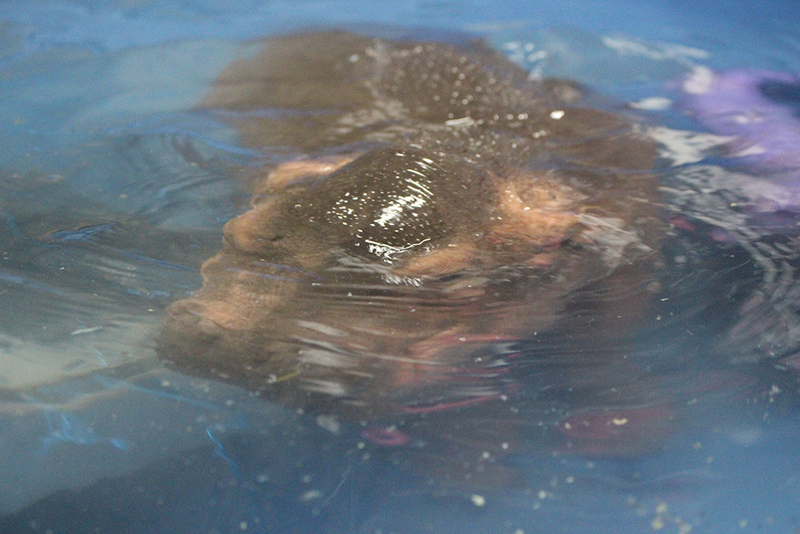 An amazing little Hippo as is all the expert care she is receiving. 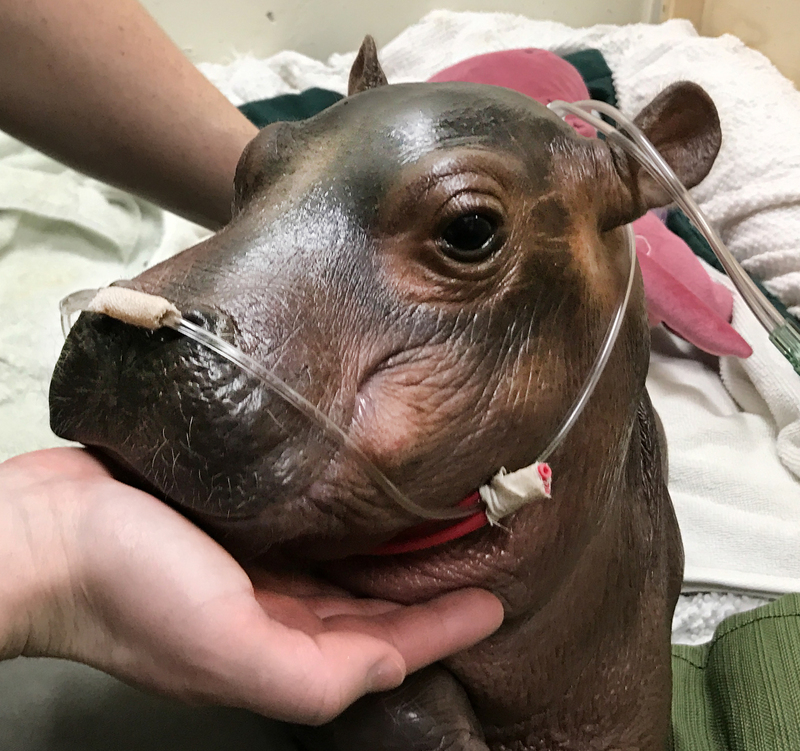 Bravo to the team who continues to care for Fiona! Love watching her grow up on Facebook. thanks to Fiona I have learned so much about hippopotamus habits. She is just amazing. What is the temperature of the room and water for her? We got our Fiona shirts in the mail today! Love that sweet girl! So glad she is doing well! thanks to Fiona I have learned so much about hippopotamus habits. She is just amazing. Wonderful news that Fiona has improved so much! Thank you so much for all you do and for your educational posts! So in love with little Fiona!!!! You guys are doing such an amazing job, not only with Fiona, but with all the animals in your care. Thank you so much for the continued updates, can’t wait till we visit this summer! 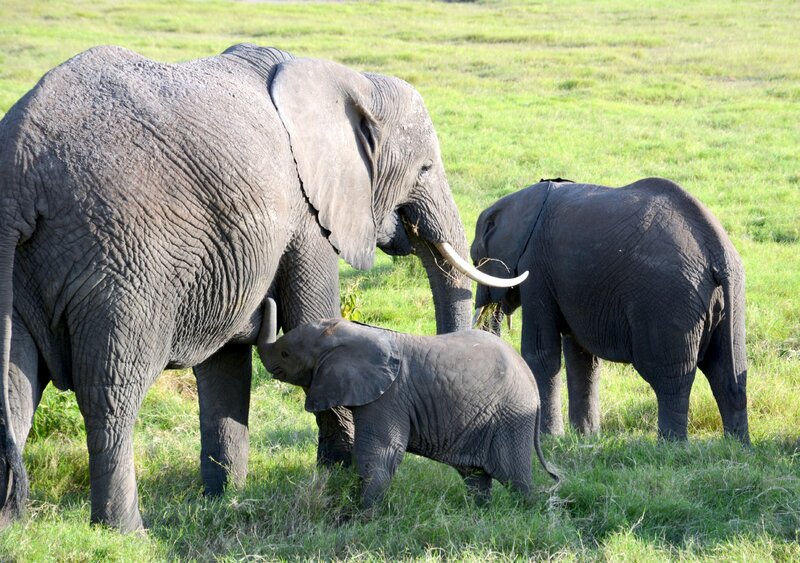 Thanks for keeping baby Fifi on her path to health! Her journey is an inspiratation. 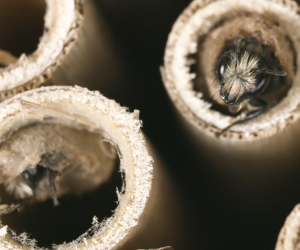 It’s a good news story that has touched our hearts. I am so fascinated reading your blogs. Thank you for all you do for sweet Fiona. Pardon a late firing synapse–but how do you folks learn this stuff, since I doubt most people alive have never cared for a premature hippo. Who are the vets and and other experts that make up your team? I mean it is absolutely miraculous what you all are doing. I hope all the staff from the caregivers up through the consultants get recognized. Is she still in contact with the mama and dadda? Or will she be on her own once she is released from special care? Great news! Thank you for explaining I love learning about Fiona and Hippos. 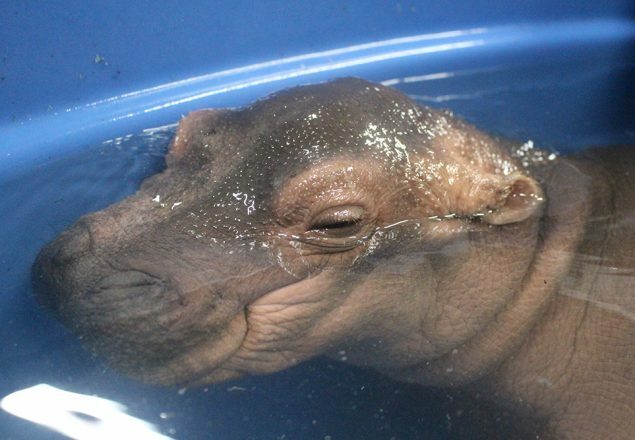 Can’t wait to come and Visit Fiona at the Zoo this summer!! I am so impressed with the work of the Cincinnati zoo. possible and is there a better day and time to see her? Sounds like Fiona is not on exhibit yet and public can’t see her yet. I don’t think the public will be able to see her until she is back with her parents full-time and then we should be able to see all 3 of them on exhibit together! Hopefully by this summer! Thank you for letting us know about Fiona..She is beautiful..and so is her care team..May God bless you all!! With all of the crazy in the world right now, it is so wonderful to follow the progress of one small (but getting bigger ) hippo. She seems to be so happy and thriving. 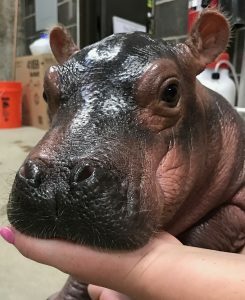 Thank you for the wonderful care Fiona is receiving! I stated on Facebook that her adorable face reminded me of princess Fiona, with her curly little ears. Low and behold a couple days later, she was named Fiona! Perfect name! Thank you for all you do there at our super Cincinnati Zoo! Couldn’t be happier for Fiona and staff! You all impress me so much. Can’t wait until my t-shirt comes! Thank you for keeping us all updated on this precious little punkin’s progress and teaching us about hippos in general. I look forward to my daily Fiona fix and continue sending prayers and positive energy to her and her remarkable caregivers. God bless all of you! So proud of our Cincinnati Zoo and all the good work they do! Thanks so much for the updates! Who knew it was possible to fall in love ❤️ with a hippo! Thanks Cincinnati Zoo – you’re the best. 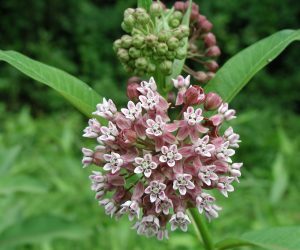 Thanks, Wendy, for your excellent posts. I can imagine how frightening Fiona holding her breath must have been for the care staff. You write so well that I was holding my breath reading about the episodes. Although we must give credit to Fiona for her indomitable will to survive, you and all those who love and care for Fiona are a large part of the Fiona miracle. Truly an amazing example of the power of Love. Would love to come play with Fiona. Like many others how can we fall in love so hard with Fiona. Do hope the Zoo plans on keeping her forever. Would love to be able to see her for years to come. Once again I have learned something very interesting in the animal world, all curteousy of my local FANTASTIC zoo and the FANTASTIC staff that works there. Thank you for taking such good care of our little angel. 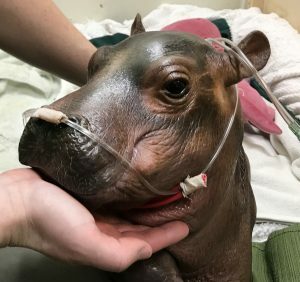 How hard it is going to be for you to let her go be a hippo with Mom and Dad but I KNOW that she will NEVER forget her surrogate Mom’s who saved her, kept her safe and healthy and kept her warm and held her close to keep her from being scared. You are wonderful. Thank you so very much for all of your 24/7 T.L.C. for Fiona. I really appreciate the daily updates too. Many of my friends across the USA appreciate the reports that I pass on from you to them via Facebook. Many, many people have been cheering and praying for your Team Fiona at our Cincinnati Zoo and Botanical Garden. Thank you for sharing your passion for life with Fiona to keep her going. Another special creature of God! Everyone and everything has a purpose! Thank you! Thank you! 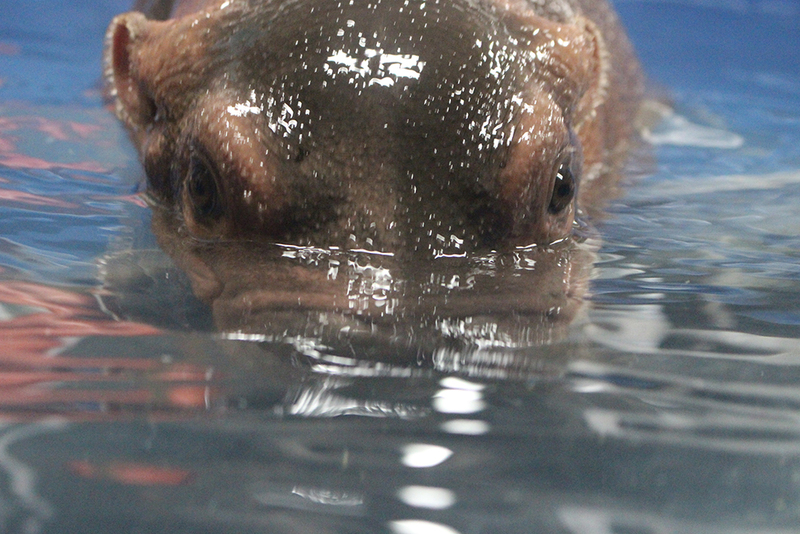 Will you have Fiona take a bottle under water to have her further practice? Thank You so much for the updates. You have provided such a great description and kept us all in the loop that I feel like Fiona is part of my family! Thank you for all of the ideas Fiona’s Care Team has come up with to give her such a Great Life! She looks so happy — I love the videos of her splashing around! Very interesting. Thanks for this level of detail. 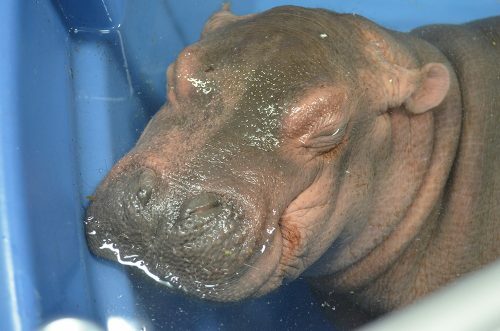 So pleased to learn so much about hippos thank you care team, I just love Fiona! Once again, the “Fiona file” brings a smile to my face. I look at the pictures and she looks like she is smiling. Content to be with her keepers. My gratitude goes out to all of the nursery staff and the endless hours you have given to ensure she survived and thrives! 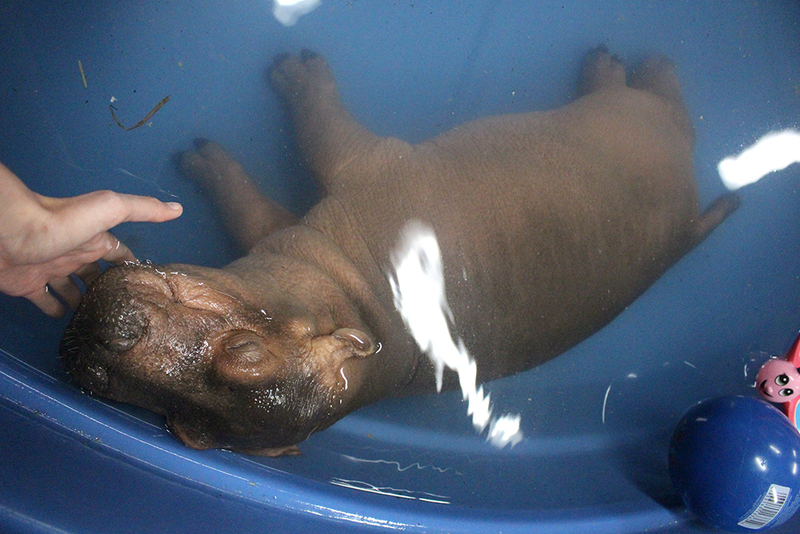 The information provided in the blog is fascinating and then to finish with a new pic of Baby Fiona makes my day. Thank you for all you do and making so many people happy, positive, and grateful for all creatures great and small. So cute im so happy that she is getting stronger healthier and a good thing is that shes getting bigger.